It’s almost Father’s Day, which means it’s time for dad to relax and enjoy while everyone else is expected to cater to his every wish. It’s also time to get serious about gift-giving if you haven’t come up with a winning idea yet. In our experience, the best gifts are those that come from the heart, and no one appreciates a gift with some serious thought behind it like good ol’ dad. With that as a guiding principle, we’ve put together some ideas for t-shirts to make your dad for Father’s Day–all easily customizable for your dad’s specific interests! Sure, everyone claims that their dad is the best, but you know the truth. The world’s best dad lives under your roof. Show how much you care with this somewhat typical, but totally adorable present. What dad isn’t obsessed with the movie Top Gun? We’re sure that your dad won’t be able to control his excitement if you got him a t-shirt that reeks the cool factor like this. Feel free to take this idea and apply it to his other favorite movies, too! Okay, smarty pants. Your pops tells plenty of dad jokes, and you’re starting to follow along in his path. We bet your dad will get a chuckle out of this “World’s Greatest Farter” t-shirt. Oops, did we say farter? We meant Father. Sometimes, the best humor can be found in the most simple things. Nice one Dad is a website that curates an exquisite collection of dad jokes if you’re looking for more silly t-shirt slogan inspiration. 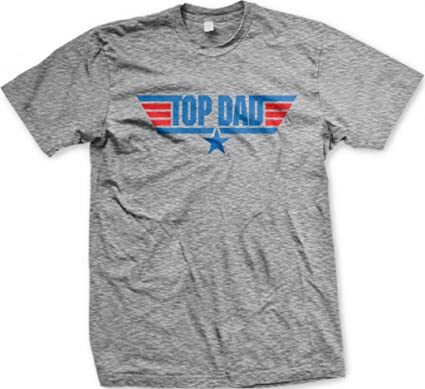 This t-shirt is just begging to be customized with your dad’s name for Father’s Day. It’s a silly reminder that your needs should always be his priority. If your dad ever has issues remembering your birthday, this Father’s Day t-shirt will serve as a friendly reminder that will at least help him remember how old you are. Hey, forgetfulness happens–especially at dad’s age. It’s hard to find a situation where a Star Wars reference isn’t relevant, especially as family (specifically fatherhood) factors into the storyline. 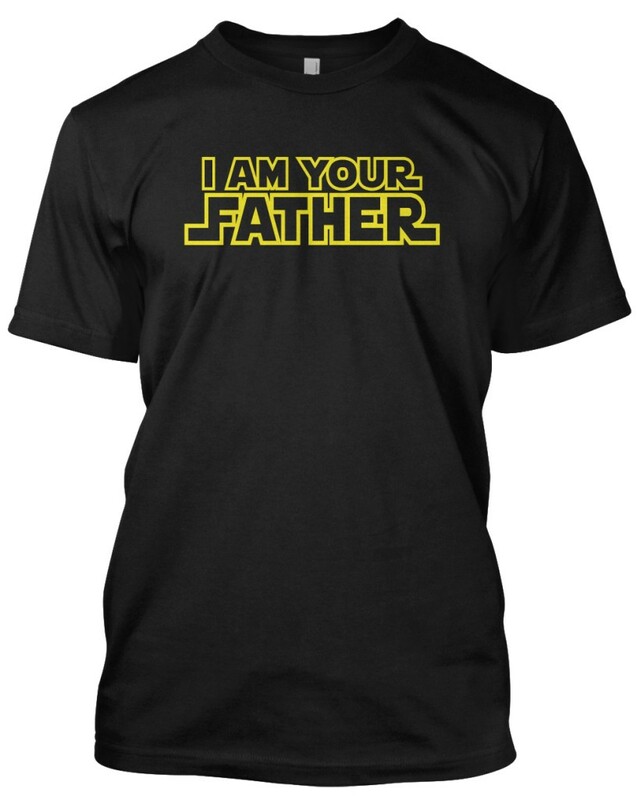 Whether your dad is a huge Star Wars nerd or not, we’re sure he can appreciate the sentiment behind this t-shirt. Would you describe your dad’s body type as “more to love?” If he’s perfectly happy with his physique, you may as well make him a funny t-shirt to wear proudly and get some belly laughs. Obviously your dad makes adorable babies–you’re here, after all! Give him a shirt that’s really a dual compliment for the both of you. Everybody wins in this situation! This shirt is part graphic design, part DIY craft. 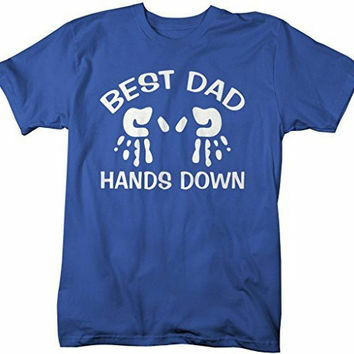 Start with a playful font to write “Best Dad, Hands Down,” then customize it with your handprints with paint that works on fabric. It’s a keepsake that will be appreciated forever. Which of these do you think are the best t-shirts to make your dad for Father’s Day? Do you have any other fun ideas? We’d love your feedback in the comments!